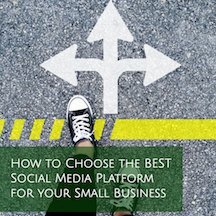 There’s been a lot of talk about the importance of video in your online marketing strategy and why you need to be creating your own video content (either live or pre-recorded), but little discussion around the creation and use of video, centers around what you can do with those videos after they have been published to your Facebook Business Page. You’re a busy small business owner. You want to get as much mileage as possible out of each piece of content you create. 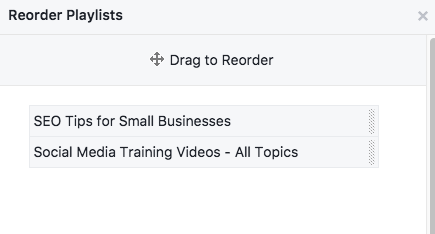 If you are publishing videos on your Facebook Business Page, you should take the extra time to build and organize your Facebook Video Library. When planning for the organization of your Facebook Video Library, think of how it would be most useful and make most sense to your customers to find what they are looking for. 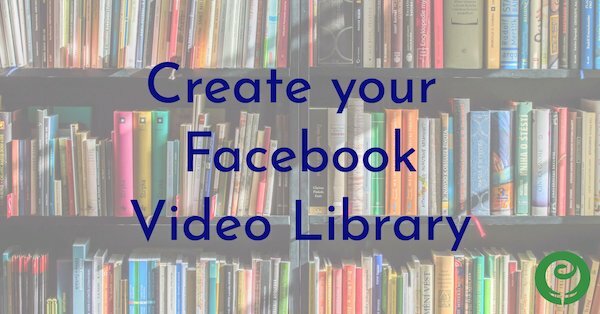 Let’s get started creating your Facebook Business Page Video Library. To navigate to your Facebook Video page, click on Videos in the left sidebar of your Facebook Business Page, or type: www.facebook.com/pg/YourPageNameHere/videos into your browser. On the Videos tab, you’ll find the prompt to Create Playlists with your Videos above the All Videos section. 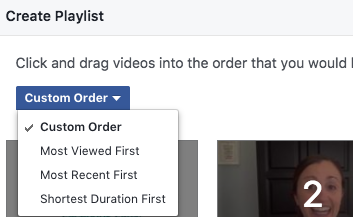 Click on the blue button on the right to create your first Facebook Video Playlist. You’ll want to add a descriptive, keyword-rich title and description to each video playlist. Next, choose which of your already-published videos to add to your new playlist. 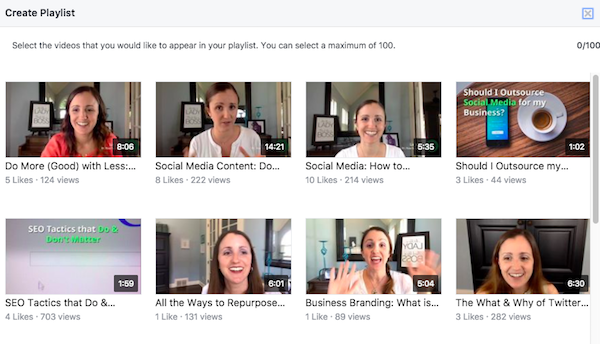 You can add up to 100 videos in any given Facebook Video Playlist. On the next screen, you can control the order the videos display. You’ll also note there’s a total playlist time tally in the top right corner. You can rearrange your videos in a custom order, by most viewed, by most recent, and by shortest duration. Once you have your videos arranged in the order you want, click on the blue Create Playlist button in the bottom right corner. 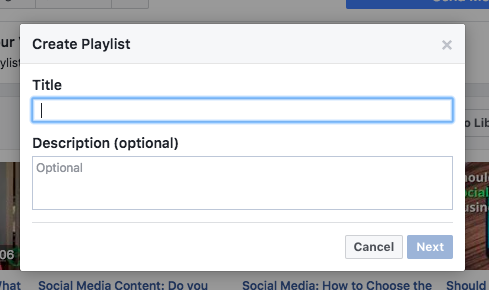 Once you’ve created 1 video playlist on your Facebook Page, you have the option to edit that playlist or create another one. If you record or publish additional videos on Facebook, you can add them to an existing video playlist by choosing “Change videos”. To create a new video playlist, click on the pencil icon in the top right corner. This is the same icon to click on to rearrange your playlists. 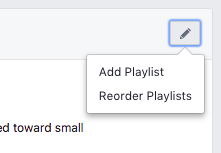 Once you have more than 1 playlist created on your Facebook Page, you can choose to reorder your video playlists. After clicking on the pencil icon, just drag and drop to rearrange. All of your published videos are always accessible in the All Videos section located beneath your video playlists. Once you have at least a few videos uploaded to your Facebook Page, you might feel like one is worthy of being designated as your Page’s Featured Video. This Featured Video is displayed in your Facebook Page’s Home view and at the top of your Videos tab. I’d also suggest whatever video you feature have captions added to it (assuming there are spoken words in your video). Click on the blue Choose Video button to select a video to be your Featured Video. Once you’ve made your selection, click on the Add Featured Video button, and you’ll see that video placed at the top of your Video tab view with the Featured Video heading. To change your Featured Video, click on the pencil icon on the top right corner of the Featured Video section to switch it out. You also have the choice to not have a Featured Video if you prefer to disable that functionality. The good news is if you are creating videos and have both a YouTube Channel and a Facebook Business Page, you can organize your videos the same way on both platforms, saving you some time but providing an optimal experience for your viewers.